Bestselling recording artist Toby Mac has a passion for inspiring believers to step out and take action for their faith. 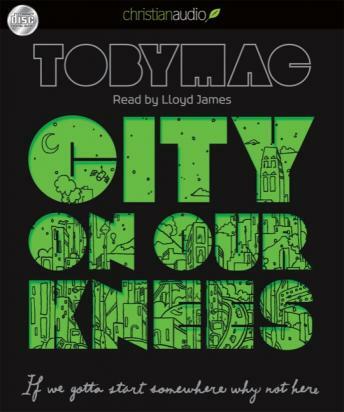 Through compelling stories and Scripture, City on Our Knees will illustrate how Christians past and present have set aside differences, come together in unity, and stepped forward in action and in prayer. Listeners will be encouraged and inspired to do the same, summoning the commitment, courage, and devotion to bring a city to its knees.